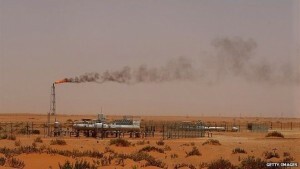 Saudi Arabia’s state oil company is to be separated from the oil ministry as part of a wider restructuring. The move was approved by the Supreme Economic Council, which was set up by King Salman this year to replace the Supreme Petroleum Council. Three Saudi troops and “dozens” of Houthi rebels were killed as Saudi forces repelled a major attack from inside Yemen, Saudi officials say. The rebels attacked near the town of Najran, reports say, in what would be their biggest assault on Saudi soil since a Saudi military campaign began. A Saudi-led coalition has staged air strikes against rebels since late March in support of Yemen’s exiled president. Meanwhile aid groups say a lack of fuel is threatening their operations there. A statement by the Saudi Press Agency, SPA, said the overnight attack happened on its southern border. Identifying the attackers as Shia Houthi rebels and groups allied to them, SPA said Saudi ground troops exchanged fire with them and called in air strikes. The rebels – who control much of northern Yemen, including the capital Sanaa – have been fighting forces linked to the government for several months. Saudi Arabia and other Arab states have been carrying out air strikes over the last month, with the declared aim of restoring exiled President Abdrabbuh Mansour Hadi. A spokesman for US Central Command it had “no information to corroborate allegations that coalition air strikes resulted in civilian casualties”. One person died and three others were taken to hospital after a boat capsized in Brixham harbour in south Devon. Emergency services were called at 11:44 BST to reports a boat carrying a father, his teenage daughter and her two friends had capsized. Torbay inshore and all-weather lifeboats were called and the four were taken to Torbay hospital. The coastguard search and rescue teams from Berry Head and Torbay and the coastguard helicopter were also called. Specialist divers are at the scene and are expected to remove the capsized boat from near the entrance to the harbour. Evans Cycles has been sold in a deal thought to value the retailer at £100m. Private equity firm ECI Partners will take a majority stake in the business, which sells a bicycle range developed in conjunction with Olympic gold medallist Sir Chris Hoy. It is being sold by Active Private Equity, which bought its controlling interest in the then family-owned company for about £35m in 2008. At the time Crawley-based Evans had 31 outlets and annual sales of some £44m. It now has 56 shops and sales have risen by more than 300% under Active’s ownership. The company has more than 1,000 employees, including 250 mechanics. Evans began in 1921 when FW Evans opened the first store in Kennington, south London. It was sold by his widow in 1950 to Joe Smith, whose son Gary Smith went on to expand the business. The management, including chief executive Nick Wilkinson, will retain a stake in the company.